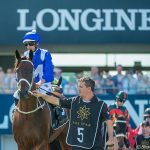 What is there left to say about Winx? Not much. I believe she is the greatest horse we’ve ever seen in Australia and she owns a record that puts her right in the argument for being the best horse any time, any where. You may disagree. 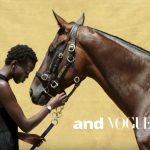 There have been so many arguments about Winx, and they will continue long after her last race, in the Queen Elizabeth Stakes at Royal Randwick on Saturday. Of all the discussions about Winx, one of the most intense took place in an oak tree-lined street running down one side of Awapuni Racecourse on New Zealand’s north island. Winx’s trainer, Chris Waller, grew up in this street. His mum Marilyn and his dad John still live there. Not long after Winx’s second Cox Plate victory John had an idea. When a horse starts to accumulate successive wins, punters call it a “picket fence” because in the form guide a series of 1s looks a bit like a fence. A form history of a horse boasting four straight wins would look like this – 1111. Well back then in October 2016, Winx had won 13 consecutive races 1111111111111. To honour her, John decided he would build a real picket fence across his front yard. Marilyn did not like this idea, and said so in the strongest possible terms. So John built a Winx shrine in the lounge room, using 13 paddle pop stick to create a miniature picket fence. 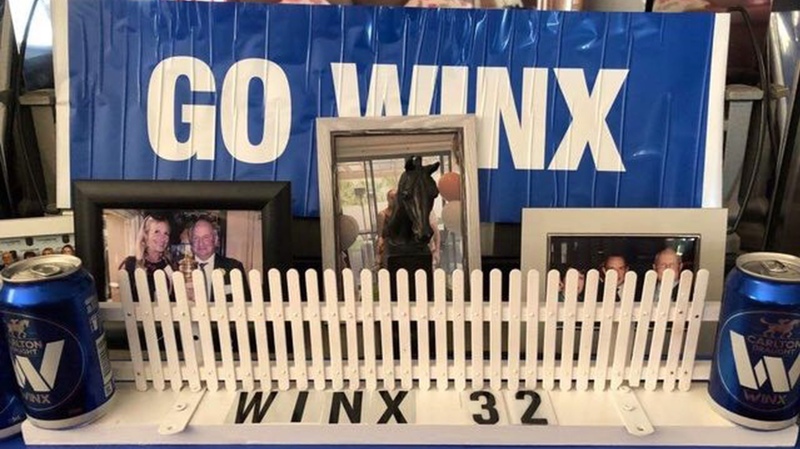 He could not have known Winx would win four Cox Plates and the shrine would need 32 sticks 11111111111111111111111111111111 for each of her victories. If John had braved the domestic storm and gone ahead with the real picket fence, it would by now stretch across his yard and his neighbour’s as well. Winx has done the unthinkable. Horses just don’t win 32 races, let alone in a row, including 24 Group Ones and over $24,000,000 prize money. On Saturday at 3.05pm she is expected to win the Queen Elizabeth in front of a capacity crowd. Then it’s retirement for the 7-year-old bay mare. She has one more paddle pop stick to go.